New Citroën C3 Aircross Compact SUV has won the 2018 "Best Buy Car of Europe" award from AUTOBEST, beating five other finalists. Announced earlier today, the AUTOBEST jury http://autobest.org/ has named New Citroën C3 Aircross Compact SUV the "Best Buy Car of Europe" 2018. AUTOBEST has selected a best buy car every year since 2001, based on the highest number of votes from an international jury. On this occasion a total of 31 motoring journalists from 31 European countries participated (including Ireland), with the cars being assessed against 13 different criteria, including value-for-money, design, comfort and technology, as well as services and spare parts availability in the distribution networks. New Citroën C3 Aircross is an integral part of the brand's renewal process and a key element in its international product offensive. New Citroën C3 Aircross has already secured over 30,000 orders in Europe. Customers are attracted by the car’s interior, its spaciousness and its practical design. New C3 Aircross has a unique personality, emphasised by a wide range of personalisation options with 85 exterior colour combinations and five interior design schemes. Inspired by customer expectations, this people-minded SUV possesses unrivalled cabin modularity and opens up to the outside world with its panoramic sunroof. Thanks to the Citroën Advanced Comfort® programme, New C3 Aircross offers a true sense of well-being for all passengers and an extraordinary at-the-wheel experience for the driver. Equally at ease in town and out on the open road, this new model's athletic abilities are enhanced by Grip Control® and Hill Descent Assist. Boasting unrivalled comfort and safety, New C3 Aircross is equipped with 12 modern driver assistance systems and four connectivity technologies, and recently earned five stars in the latest Euro NCAP tests. With 426,000 registrations in Europe in the first half of 2017, Citroën sales have hit a six-year high – up 5.6% in Europe compared to the same period in 2016. 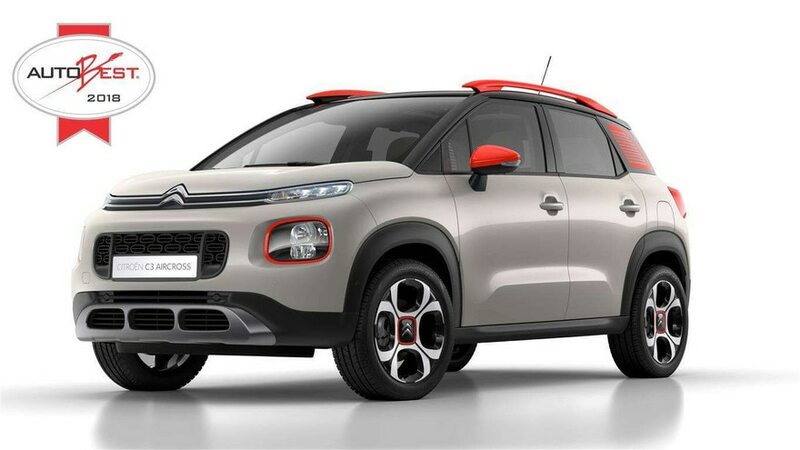 A year after the introduction of New C3, which is the best-selling model in the Citroën range with over 230,000 sales since launch, New Citroën C3 Aircross Compact SUV is now accelerating Citroën's sales performance still further.